These days I do a lot of my networking and marketing on-line. The web reaches more people than any brochure or media kit, with less time and money. The two that really helped me are: On-line networking/directory web sites and posting in forums. Having a profile/account/portfolio on any free networking sites like Twitter, Facebook, Linkedin, or Creative Hotlist will get your name out there. Posting on forums will also help to build relations and trust that may bring you new clients and projects. That's how Create Magazine contacted me to design their 5 page featured article. I have a portfolio on their site. After looking at my work. They thought I might be a good fit for the magazine. I post on design forums pretty often and have built many relations. As a result, Jeff Fisher, Jeff Fisher LogoMotives, asked me to submit some of my work for his new book, Identity Crisis! 50 Redesigns That Transformed Stale Identities Into Successful Brands. Another example, Steve Gordon, Jr., RDQLUS Creative. Asked me to submit my work for his book, 100 Habits of Successful Freelance Designers: Insider Secrets for Working Smart & Staying Creative. Twitter is really a great place for building connections, relationships and interactions with brands and high profile people like Chris Brogan or Guy Kawasaki. In the off-line world you wouldn't have these opportunities, or would be very difficult to get in contact with them. 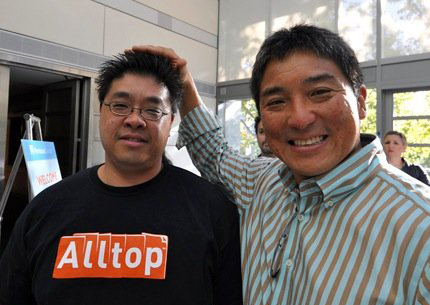 I've been talking (bantering) with Guy Kawasaki on Twitter for some time. He must really like my style, because Guy approached me to do some design work for him and Alltop. He's a really cool guy (no pun intended) to work with. He actually, listens and are open to suggestions. If you get a chance, take it to the next level by attending Meetups, Tweetups and Conferences, where you actually meet "In Real Life (IRL)." It's like meeting an old friend, which helps to really build a bond with the relationships you have developed on-line, then off-line into the real world. So get out there! Start networking, connecting and building relationships. Here are a few resources that will help with your networking. Mayhem Studios contributes to an article, Marketing Your Pro bono Work: It’s All About You, for BoDo, written by wordsmith Thomas Stephan. 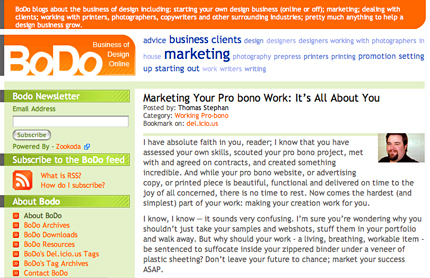 Stephan shows how to promote and make your pro bono projects work for you, using press releases, blogs, e-newsletters, forums, social networking and social bookmarking web sites. When writing press releases it should consist of the "Five W's," Who, What, When, Where and Why. 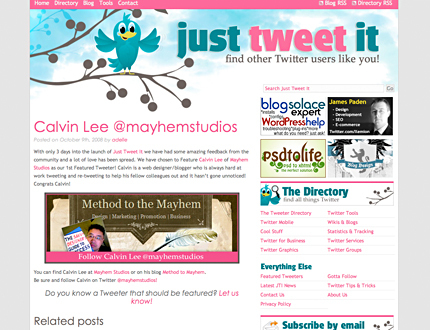 Calvin Lee, of Mayhem Studios, gives his thoughts about self-promotion. BoDo: Business of Design Online, blogs about the business of design including: starting your own design business (online or off); marketing; dealing with clients; working with printers, photographers, copywriters and other surrounding industries; pretty much anything to help a design business grow. Thomas Stephan carries more than a decade of experience in non-profits of various sizes and venues, and has freelanced for the past 5 years in various creative areas including copywriting, web design, custom graphics for print and web and marketing. He has designed for TT Electronics, The Texas State Aquarium, The University of Texas Law School and Texas A&M University Corpus Christi, and has written for the Art Museum of South Texas, The University of Montana, Korby Imagery and the United States Navy. Stephan current position is Director of Communications with the largest non-profit social service agency in the state of Texas, where he manages content on four websites, print design, marketing and public relations for seven satellite offices, three residential treatment centers and three retirement facilities, not including the identity and promotion of five annual fundraisers. Thomas Stephan can be contacted at dyer9380_at_gmail.com for any wordsmithing. Most of the time you never get to meet friends you've met on-line. 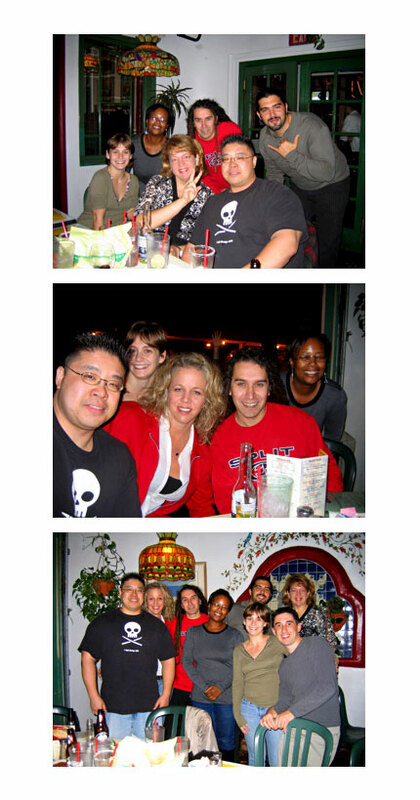 Recently some of us from the HOW Design Forum got together for dinner, drinks and good times. This is our 2nd annual get together. It was great seeing everyone again from our 2006 get together. I hope we can get together a couple times a year instead of just annually.